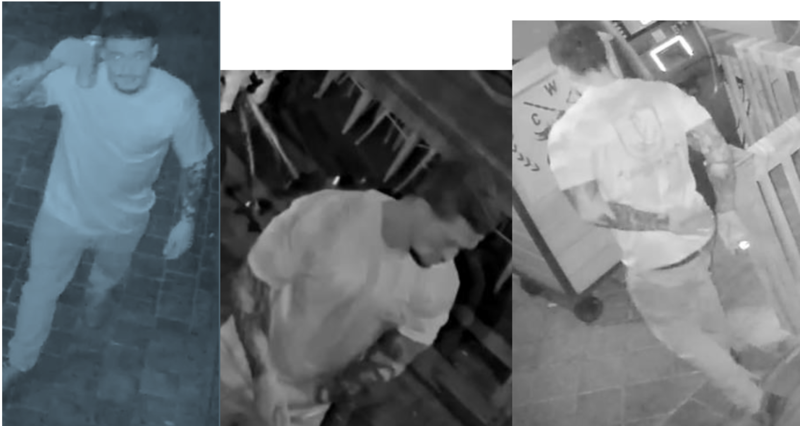 The Palm Beach County Sheriff’s Office is seeking the public’s assistance identifying a suspect WANTED for burglary to a business in the City of Lake Worth Beach. The unknown male entered CWS Bar & Grill after it was closed and attempted to steal the television and liquor. This incident occurred March 30, 2019 at 11:52 pm. CWS Bar & Grill is located in the 500 block of Lucerne Ave, Lake Worth Beach.